Ending hostilities in Iraq and Afghanistan and a pervading view among the public that Britain’s military is being ravaged by defense cuts has resulted in a shortage of new recruits, a former general has claimed. Former Brigadier Ben Barry’s comments come as military cuts have left the army struggling to attract new recruits, leaving the force 3,000 troops below its intended post-austerity strength. “There’s no doubt that the wars in Afghanistan and Iraq acted as a recruiting sergeant — people joined knowing that they would be going out at least every two years,” Barry, a former officer and senior fellow at the International Institute for Strategic Studies (IISS) think-tank, told the Financial Times. Some 20,000 UK soldier have left the army, bringing total regular strength down to 81,700. That figure is 3,400 below the government’s target as stated in the last Strategic Defence and Security Review (SDSR) and leaves the army with Napoleonic-era manpower. Plans to use reservists as a flexible option to bolster the full-time army have been badly affected by a lack of fresh recruits. 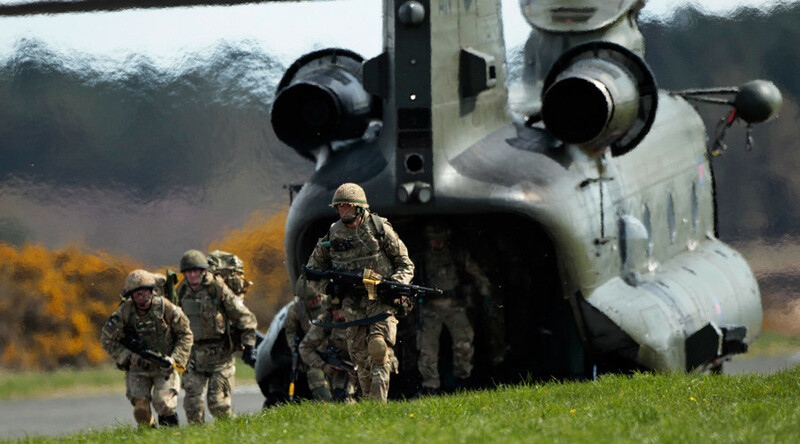 In June, the Major Projects Authority (MPA) watchdog said army reservist recruiting targets were ‘unachievable’ despite an expensive recruiting drive by the Ministry of Defence (MoD). In its 2015 annual report, the MPA – which was set up by the Conservative/Liberal Democrat Coalition to monitor large projects – said recruiting goals would be impossible to meet. However, MoD figures say despite failing to raise reserve numbers to the intended 30,000 strength, the military has exceeded targets that had been set. Reserves Minister Julian Brazier claimed just over 8,000 people had joined the Army, Navy and Air Force reserves as a whole between January 2014 and March 2015. “We knew that changes to our reserve forces would not happen overnight, but we are turning a corner and making real progress,” Brazier told the BBC.